Boom The Rock | Mac App Storeのアプリ検索・ランキング BuzzMac! It is not a Christmas sale - it is much much better! 100% discount for all titles by Hooligans Entertainment! Get a HUGE LOT OF FUN completely FREE OF CHARGE! 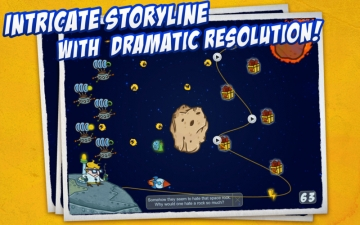 Shoot for the stars in this wildly entertaining arcade puzzle adventure! Download Boom the Rock, pick up some serious firepower, use timing, problem solving skills, and an effective trigger finger to shoot one rocket after another into asteroids’ faces, and discover what it feels like to save the world today! 1. 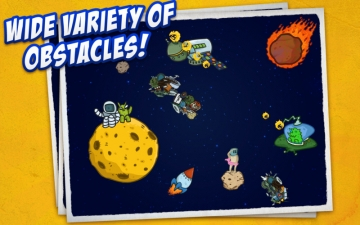 Fly your rocket around obstacles and help it dodge moving threats like aliens & space rocks. 2. Make sure your rocket picks up every floating pack of explosives to arm it with enough BOOM to blow the incoming asteroids to dust. 3. 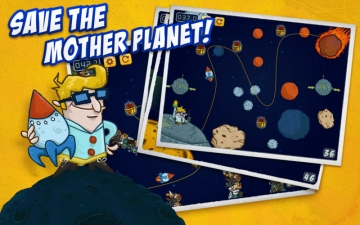 Blow up asteroids before they have enough time to lumber past and destroy the world! The name of the game in Boom the Rock geometry, timing, and sometimes good old fashioned luck. Figure out how to get all three in harmony and you’ll save the world, fail and - well, you know what happens (Earth goes Boom). Every level begins with a line going from your feet and ending at the asteroid. That’s your rocket’s path. Your job is to push, twist, and pull it at various available anchor points to make sure it crosses over every floating explosive package in the level and around every bit of danger. 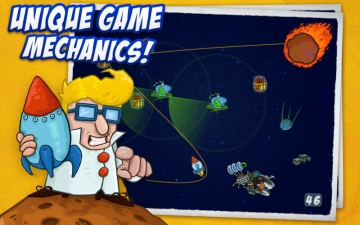 You’ll need to time your rocket’s take off perfectly too to ensure that roaming aliens, rocks, and other hurdles don’t thwart your Earth saving efforts! Earth doesn’t want to blow up. Trust us on that, take the controls, and blow the rocky incoming menaces all around us one after another with Boom the Rock right now! • Vibrantly colorful original cartoon graphics! • Intuitive controls & exciting gameplay! 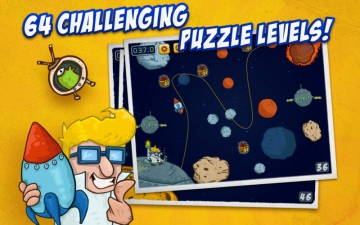 • 64 challengingly intricate puzzle scenarios! • Addictive and challenging game mechanics! • Refreshingly varied levels that’ll treat you to something new every time! • Original music & sound FX to make sure you have a groovy soundtrack while you play! • Hilariously clever storyline complete with a charismatic lead character - Doc the Mad Scientist! Boom the Rock is developed by Hooligans Entertainment.